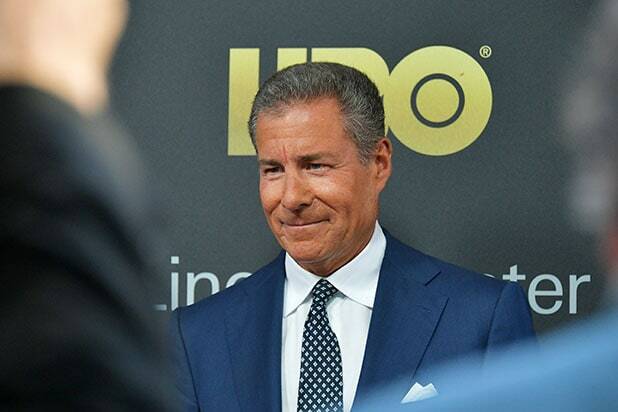 After nearly three decades, Richard Plepler is stepping down as chairman and CEO of HBO. His exit ends one of the most storied tenures in the TV industry, and marks of the biggest changes in AT&T’s nascent ownership of the network. Under Plepler’s leadership, HBO bagged a whopping 160 Emmys as the pay cable network climbed to the top of the industry. An HBO rep told TheWrap that Plepler has no set end date, but it’s probably “several” weeks away. He will not make the move when the company moves into its new building in the Hudson Yards area in Manhattan in late April or early May. HBO has been the envy of the TV world for the better part of two decades, likening itself to a bespoke shop at a time when the industry is in full “peak TV” mode of more and more content. This has allowed HBO to lure A-list talent that helps them grab critical acclaim and Emmy trophies, while maintaining strong profits. Also Read: HBO Ain't Broke - Is New Owner AT&T Trying to Fix It? Plepler first started with HBO in 1992, rising to the role of co-president with Michael Lombardo in 2007. He was named chairman and CEO in 2013 — with Lombardo departing as president in 2016. He is widely known as one of the most significant forces in television in recent decades, which has been dubbed the modern Golden Age of the small-screen industry. During Plepler’s tenure, HBO greenlit critically-acclaimed hit series like “Game of Thrones” and “Veep.” He also oversaw the launch of primetime originals at sister network Cinemax and a successful segue into streaming with HBO Go and OTT option HBO Now. The news of Plepler’s exit comes one day after the Wall Street Journal reported AT&T — which purchased HBO’s parent company, Time Warner, in a merger last year — and WarnerMedia are considering combining HBO and Turner Entertainment into a single unit, along with the upcoming streaming service, and are in talks with former NBC Entertainment chairman Robert Greenblatt to oversee it. The day before, The Hollywood Reporter reported that Greenblatt was being eyed for a top role at WarnerMedia. A representative for WarnerMedia declined TheWrap’s request for comment on the possibility Greenblatt will take over, following news of Plepler’s exit. When AT&T first took over HBO last year, WarnerMedia CEO John Stankey put out the signal that things would be different under the new ownership. Stankey called on HBO to substantially increase its subscribers and the time its viewers spent watching — and hinted at new investment to ramp up content. Stankey and HBO programming chief Casey Bloys attempted to clarify that nothing would be any different at HBO in the following weeks. Plepler enjoyed a strong level of autonomy under Time Warner’s ownership, but Stankey’s initial town hall has proved that AT&T will not be hand-off owners. Plus, in Greenblatt, Plepler would’ve had to answer to someone who was his onetime rival. Before taking over as head of NBC Entertainment, Greenblatt was the head of entertainment at rival pay cable network Showtime. Plepler is, for now, leaving an industry that is a far cry from the one he stepped into when he first started at HBO more than 27 years ago. Big-pocket tech giants like Netflix and Amazon — Apple is also planning a massive content push this year — have destabilized the industry by spending ambitiously to compete with HBO for big-time creative talent including Jennifer Aniston, Jordan Peele and Oprah Winfrey. Other mega TV producers like Shonda Rhimes and Ryan Murphy have left the traditional TV world in favor of eye-popping deals with Netflix. Whoever takes the reigns of HBO will be competing on a playing field where scale is the name of the game. In the coming months, Disney will close its $71.3 billion acquisition of 21st Century Fox film and TV assets, which include its studio, cable networks like FX and Nat Geo and its 30 percent stake in Hulu (which will give Disney majority ownership). Read Plepler’s memo in full below. My dad always gave the best advice. Whenever there was a difficult decision to make, he counseled that since no one could ever have perfect visibility into the future, the best thing you could do was trust your instincts. It has been a touchstone for me throughout my life, and I have found myself returning to it again recently as I think about what is an inflection point in the life of this wonderful company. Hard as it is to think about leaving the company I love, and the people I love in it, it is the right time for me to do so. In the past weeks, I’ve thought a lot about the incredible journey of this company in the nearly 28 years that I have been blessed to be here. It’s a journey of great pride and accomplishment because so many of you, and many others before us, have made HBO a cultural and business phenomenon. Thanks to all of you, we are today churning on all cylinders both creatively and as a business. Thanks to all of you, I can move on to the next chapter of my life knowing that the best team in the industry remains here to carry on our continued progress and success. As I have said before, this is the team of teams. It has been the great joy of my professional life to share this ride with you over these many years. And the great honor of my professional life to be your CEO. I don’t have the words to express my gratitude for the support and talent that made our success together possible. But suffice it to say, my love for this place, and for all of you, is deeply a part of me and will last a lifetime. I look forward over the coming weeks to thanking as many of you as I can for the thousands of contributions big and small that have made “this thing of ours,” to quote Tony Soprano, so special. I have told John, who has been nothing but gracious since we spoke, that I would work closely with him to assure a seamless and organic transition. We’ve created a great and unique enterprise and I know that you will protect its legacy and do all to enhance its future in the years to come. Know that I will always be cheering loudly, even when I am outside this building, as HBO continues to thrive.